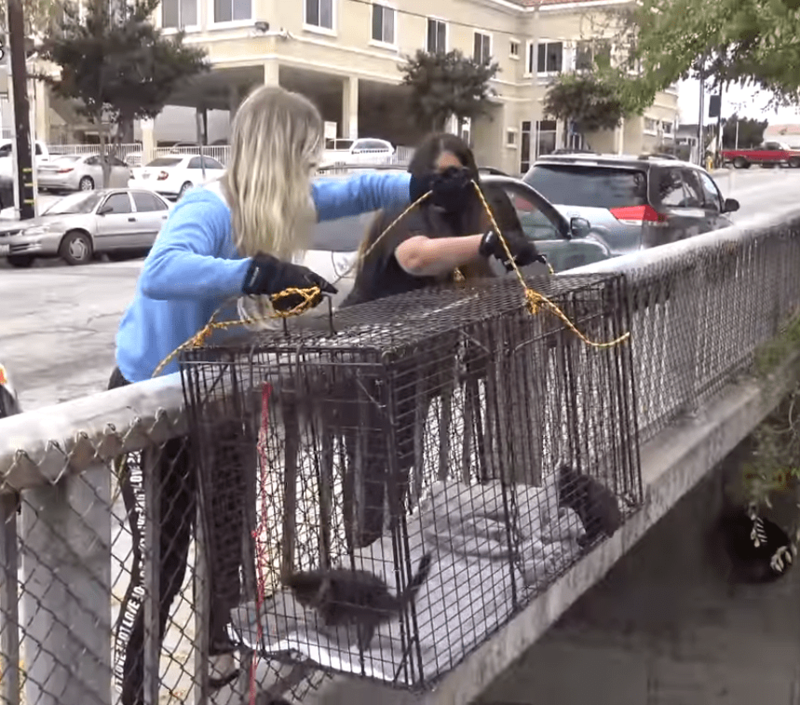 When rescue organization Hope for Paws received a call about two stray kittens stranded in the Los Angeles River, they knew they needed to act fast. While the river was mostly dry when they received the call, there was was a big storm approaching. If the storm hit before they rescued the kittens, there was a chance that the poor kittens could drown. Hope for Paws founder Eldad Hagar and two other rescuers, Loreta Frankonyte and Zainab Zakria, raced over to the river. Then, they began working on gaining the kittens’ trust. 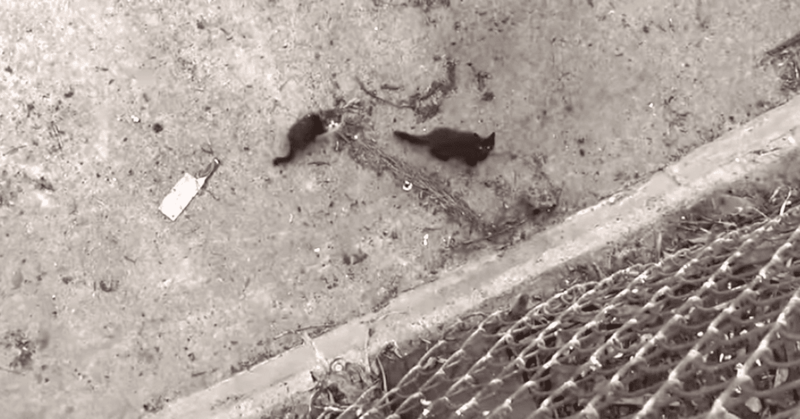 The rescuers were unable to go down into the river, so they threw food down for the kittens. The kittens raced over to grab the treats. The rescuers decided to lower a cage down into the river. They put food inside the cage, hoping the kittens would crawl inside. As the rescuers worked, the kittens stared up at them, waiting for more food. 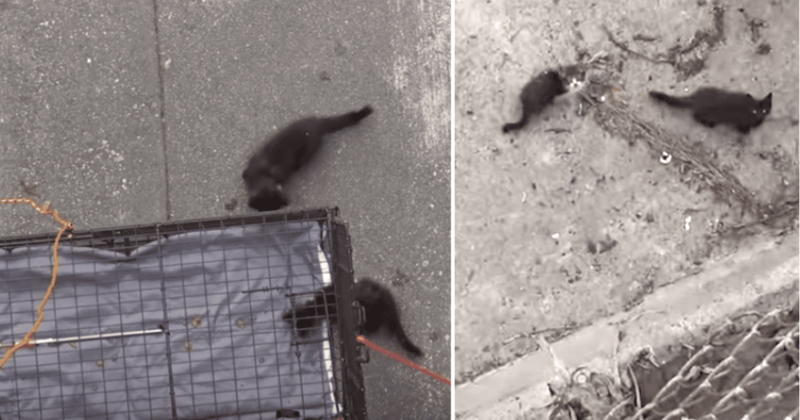 The rescuers gently lowered the cage down, going quietly so they wouldn’t scare the kittens. 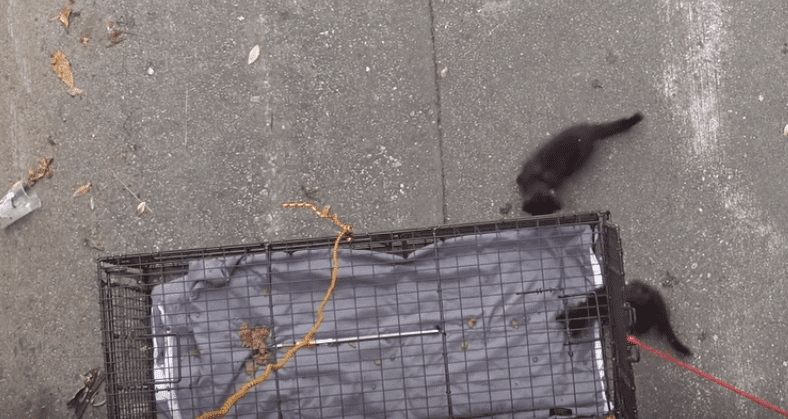 Once the cage was on the ground, the curious kittens went inside. The rescuers used a rope to close the cage door, and then they started pulling the kittens up. Slowly but surely, the rescuers pulled the cage up. After lots of pulling, the kittens safely reached the rescuers! The rescuers named the kittens Chip and Dale. Eldad and his fellow rescuers drove Chip and Dale over to a local vet, where they got a much-needed bath. The kittens were covered in fleas and dirt from the river, but thankfully besides that they were very healthy. After their bath, the kittens chowed down on some food. Then, they took a nap together. After the kittens were given a clean bill of health, they went to stay at the Kitty Bungalow-Charm School for Wayward Cats. 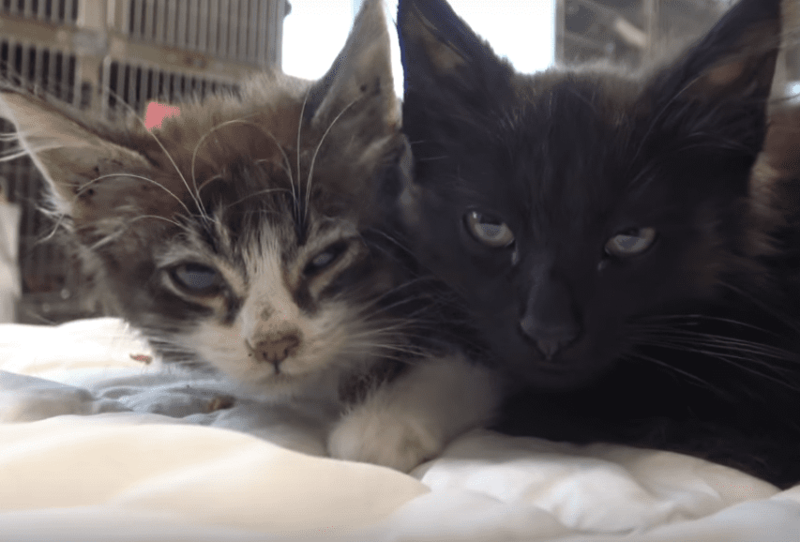 This foster group helps take care of tons of stray kittens. Chip and Dale enjoyed meeting the other cats, but they still spent most of their time together. It’s clear these two have an incredible bond! Chip and Dale’s unique personalities also started coming out at their foster home. 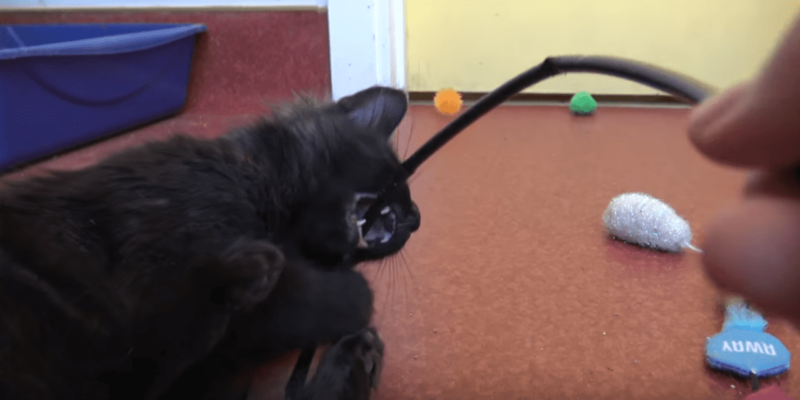 Chip, the black cat, is the more outgoing of the two, and he enjoys playing with toys. Dale is a bit more reserved, and he loves spending time with his brother more than anything else. 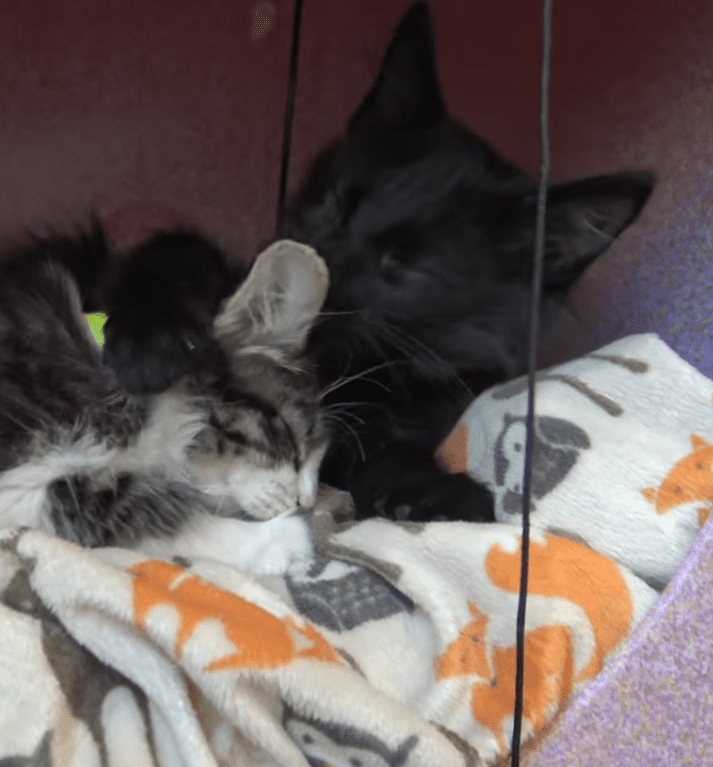 Since Chip and Dale were so bonded, the Kitty Bungalow wanted them to go to the same forever home. Thankfully, it didn’t take long for them to find the right home. 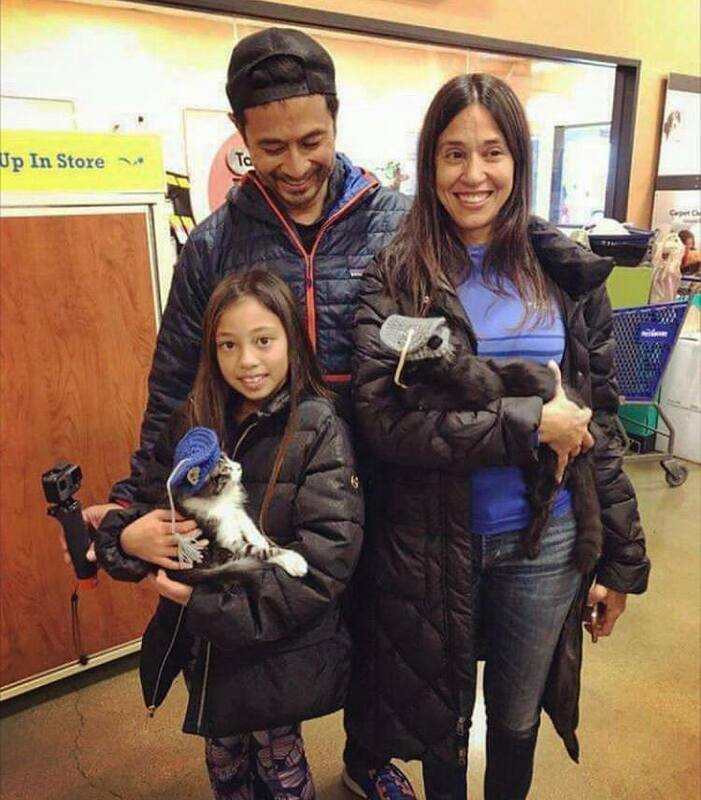 Just a few days after the cats arrived at the Kitty Bungalow, they were adopted. Chip and Dale’s new family loves them more than anything—they ever made adorable little hats for the kittens! Chip and Dale were in a precarious position when Hope for Paws found them, but thankfully the rescuers were able to save them before the worst could happen. If you want to see Chip and Dale’s amazing rescue, check it out below.